Have you always wanted to be a real player at Calico? BECOME A CALICO MOUNTAIN VOLUNTEER?! BECOME A PART OF CALICO HISTORY! 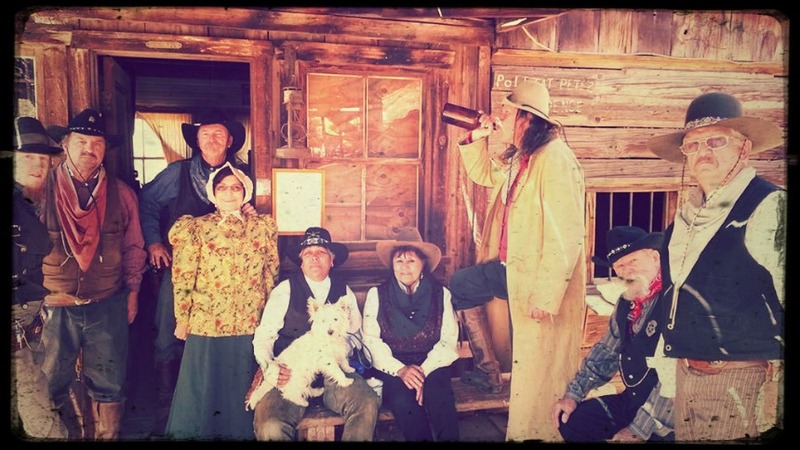 ​Our group consists of male and female reenactors who dress in 1880's period clothing., They can be Calico Characters who walk around town and mingle/take pictures with the visitors and/or they can also be Calico Gunfighters, who put on skits for the visitors and also pose for photos. All the reenactors choose their own “character” name (i.e., some reenactor’s names: “Crazy Clay”, “Hard Luck”, “Riccochet”, “Little Foot”, “Sweetwater Tessa”, “Desert Dawg”, “Nugget”, “Diamondback”, “Moonie”, ). NO EXPERIENCE? NO PROBLEM! WE WILL TRAIN YOU! World Famous Hall of Fame Characters!